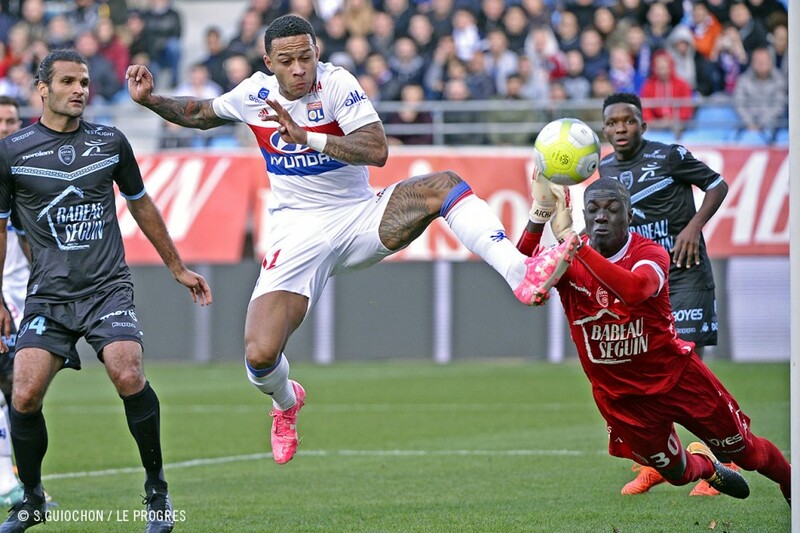 OL overcame Troyes five-nil for a third successive win in all competitions combined. 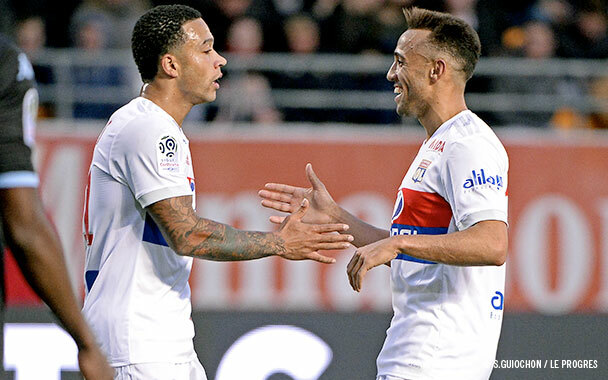 After a solid first half against a fit side, Lyon went for it offensively and, with Memphis blazing the trail with a hat trick, OL convincingly outdid their opponents. They now sit fourth on the table. 16’. Kkaoui’s free-kick passes just by Lopes’ post. 21’. 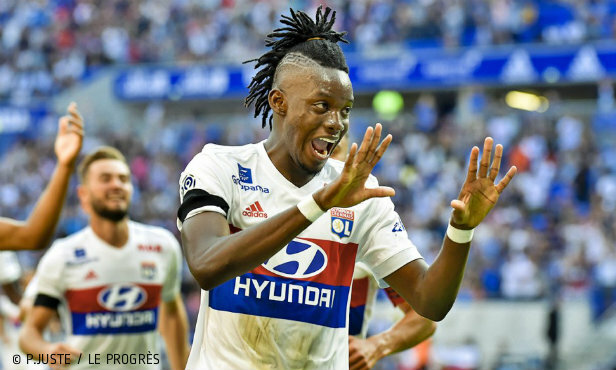 Traoré scores after a nice exchange between Aouar and Marçal on the left flank. 0-1. 34’. Lopes comfortably saves Khaoui’s effort. 49’. Ndombele sets up Memphis to sidefoot sweetly into the far bottom corner. 0-2. 62’. Samassa saves Mariano’s shot from inside the box. 66’. Memphis scores from the same position he scored his first. 0-3. 69’. Penalty: red card for Hérelle for blocking Memphis’s effort with his hand on the line. 70’. Memphis converts the penalty with a spoon kick. 0-4. 74’. Samassa comes out to to thwart Memphis, after Memphis was launched by Aouar. 87’. Lopes saves well to deny Ben Saada. 90’. Mariano follows up on Myziane’s shot to score. 5-0. With Saint-Etienne, Bordeaux and Nice suffering losses, and Marseille up against PSG, OL were in the perfect position to climb the table. 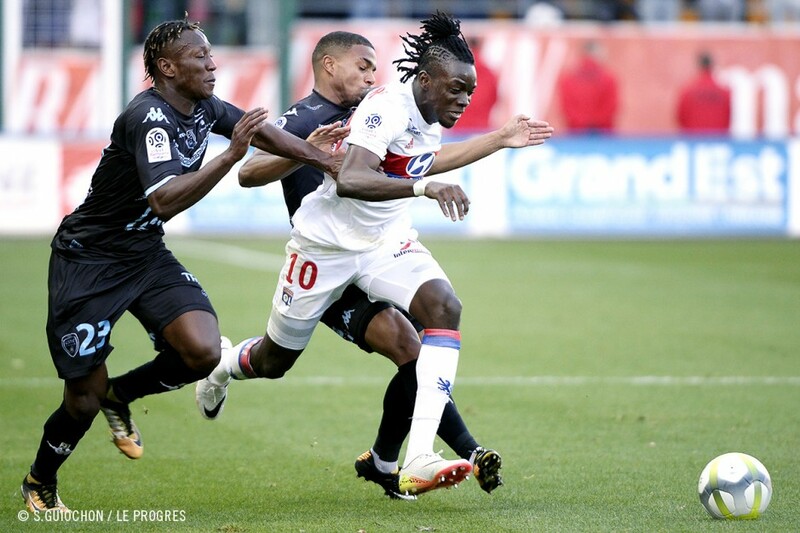 After their wins against Monaco and Everton , the aim was to ride the victory wave against a Troyes team who had been in good form for a month. Without Fekir, Lyon, as they so often are, were the first the find the net through Traoré after a nice build-up down the left. The first half carried on without much threat and the score didn’t change up until the break. 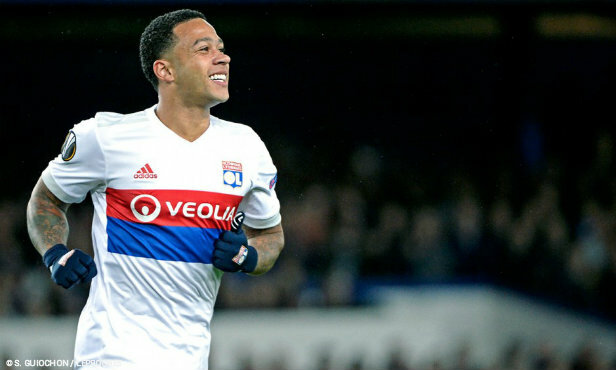 OL stepped things up with the introduction of Nbombele, who burst through the midfield and gave Memphis some decent service. Mariano also gave things a go but came up against Samassa. 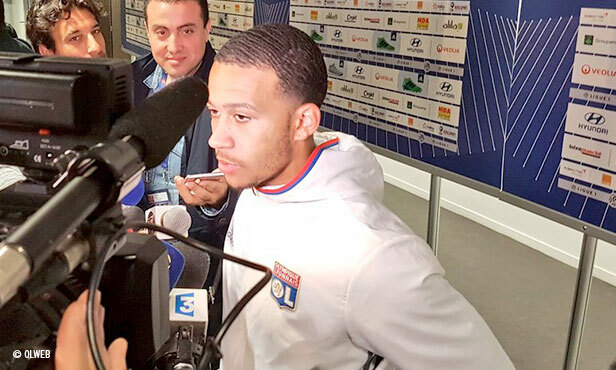 Fully in charge, Lyon rubbed salt in the wound, like when Memphis scored on the end of a counter-attack. The number 11 kept the party going when he prompted Hérelle’s sending off and a penalty that he converted himself… with a spoon-kick. The match was decided in the space of 20 minutes and Mariano added his touch with five minutes to go. 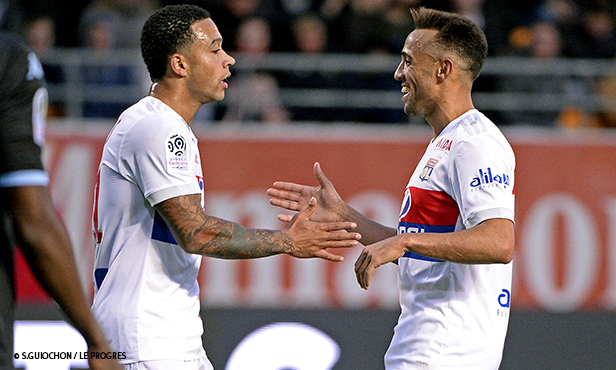 OL were headed for a third win on the trot in all competitions combined, a run not achieved thus far this season, and their first away win in Ligue 1 since the second week’s win against Rennes. (1-2). 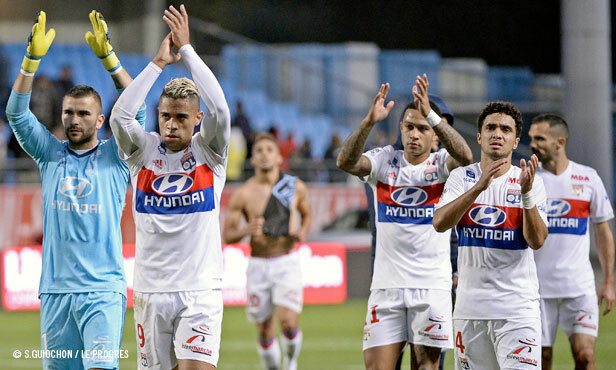 It was a third clean sheet of the campaign and the result sees them take provisional fourth place until the match between OM and PSG. 48th minute of play. 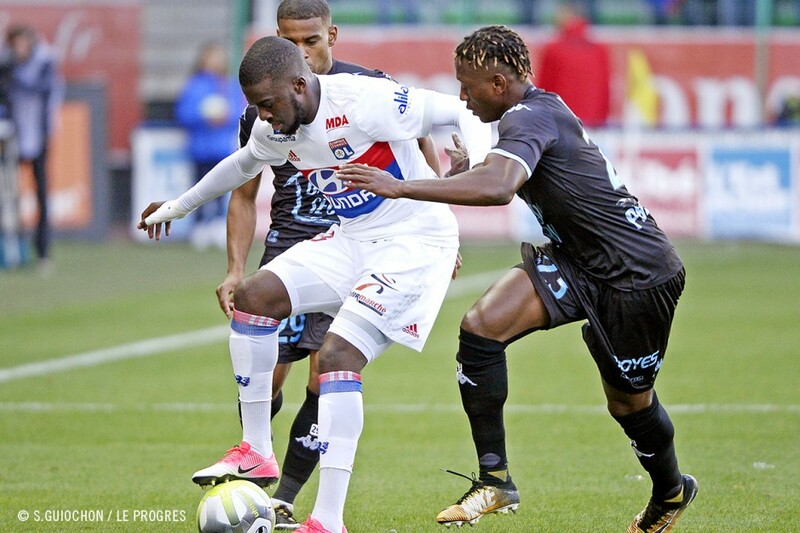 Tanguy Ndombele takes up the ball in his half and goes for it. 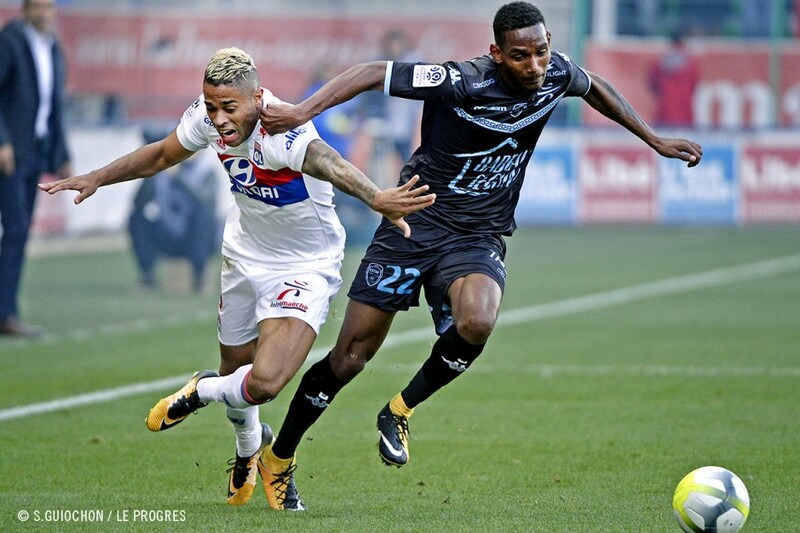 With the ball at his feet, the Lyon midfielder cuts through the Troyes midfield, getting past two opponents before getting a pass to Memphis Depay, streaming down the left flank. The Dutch winger didn’t miss his chance to score with a curling shot after picking his spot. It was a break earned from a quick counter that came just at the right time to knock ESTAC out. 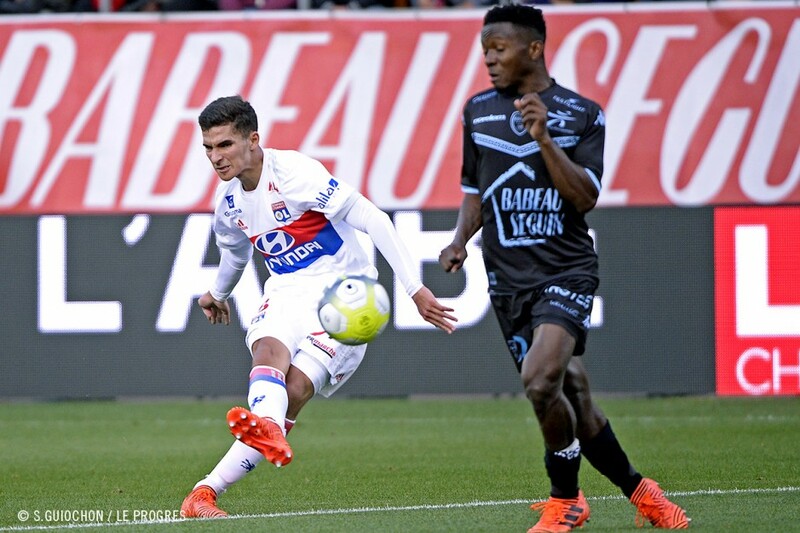 With a convincing win away to ESTAC, Lyon showed that they’re unbeatable against promoted teams. 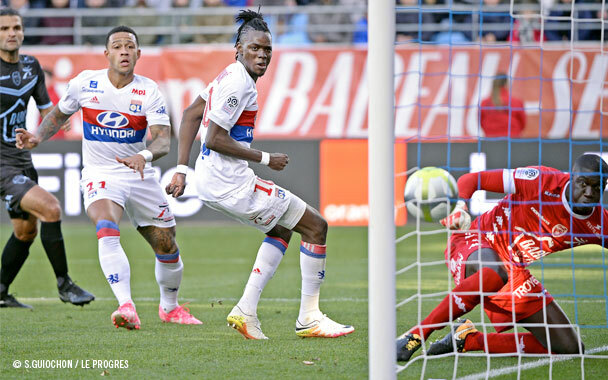 This is OL’s tenth win out of their last 11 against a newly promoted team. 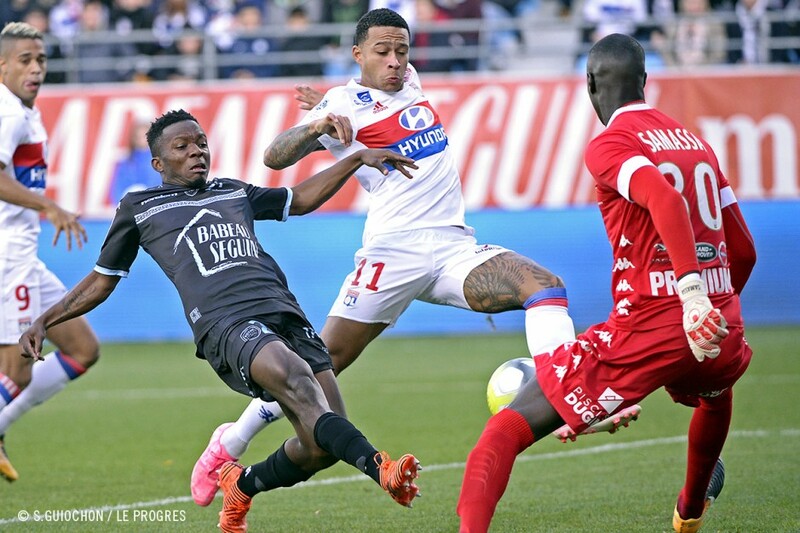 This season, Troyes and Stasbourg, who made it up from Domino’s Ligue 2 to the Ligue 1 Conforama, went down against Lyon. 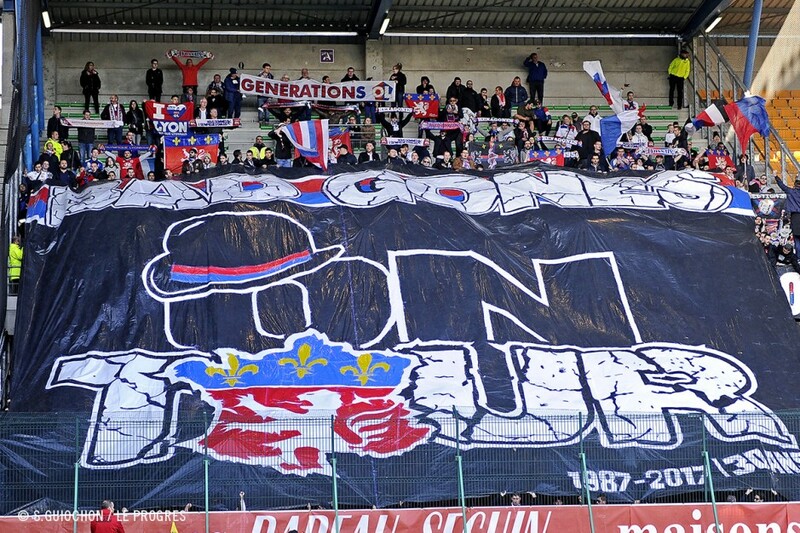 Only Dijon, victors over Lyon in the away fixture last season, have not lost against the lads, who have kept seven clean sheets in their 11 matches against newly promoted sides. At the Stade de l’Aube in Troyes. 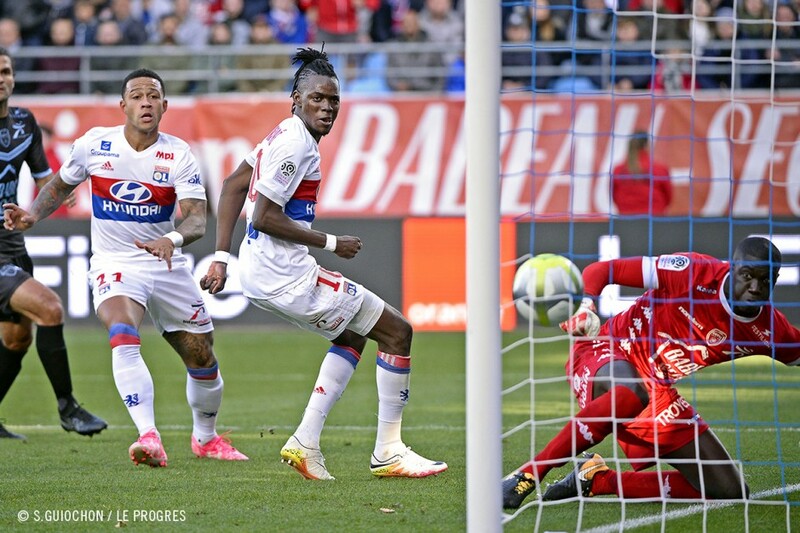 Goals: Traoré (21’), Memphis (49’, 66’, sp 70’), Mariano (90’) for l’OL. 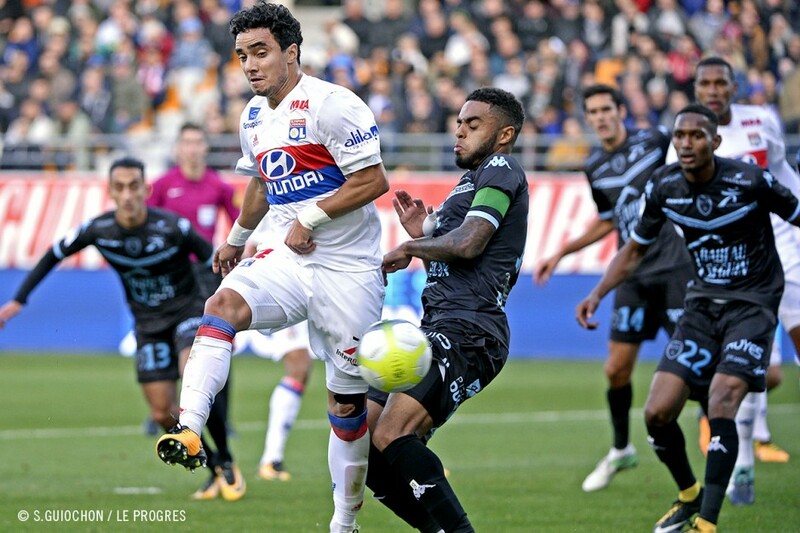 Yellow cards: Morel (15’), Rafael (33’) à l’OL. Grandsir (18’), Dingome (59’) for l’ESTAC. 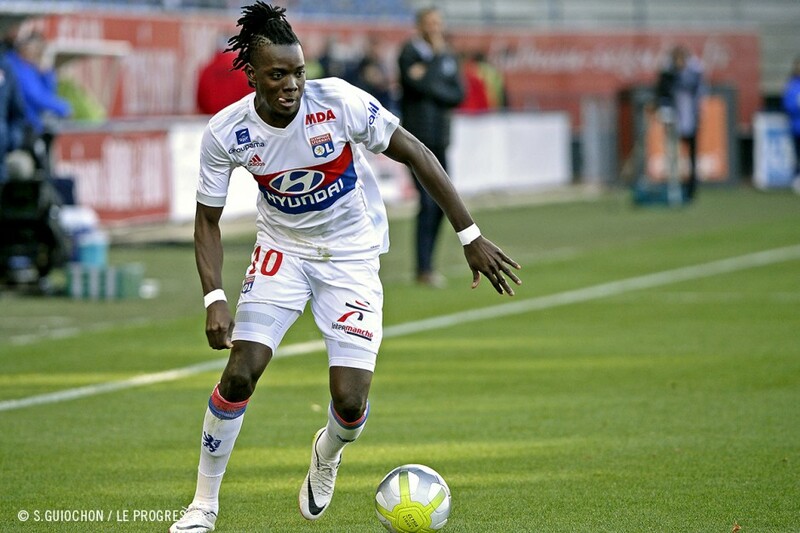 ESTAC: Samassa – Cordoval, Vizcarrondo, Hérelle, Traoré – Belluguou, Dingome (cap. ), Khaoui (Giraudon, 71’) – Grandsir (Ben Saada, 67’), Niane (Suk, 68’), Pelé. 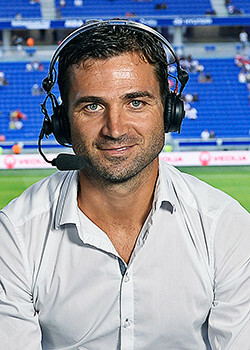 Coach: Jean-Louis Garcia. OL: Lopes (cap.) – Rafael, Marcelo, Morel, Marçal – Tousart (Ferri, 72’), Ndombele, Aouar (Myziane, 79’) – Traoré (Cornet, 72’), Mariano, Memphis. Coach: Bruno Genesio. 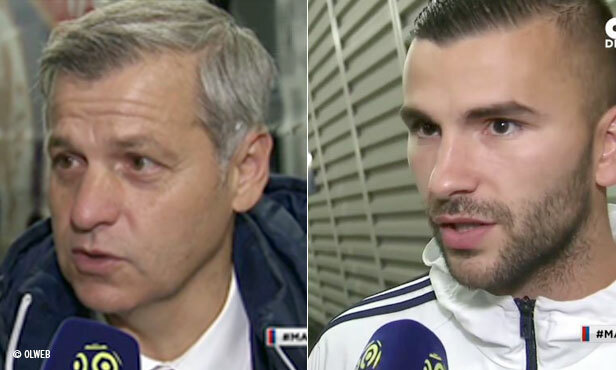 The Lyon coach and his players took turns at the OLTV mic to share their thoughts after their big win against Troyes. Héloïse Basson et Guillaume Gache reçoivent Khaled Karouri et Quentin Siebman.